Central Government Servants acquiring fresh higher qualifications after coming into service are granted incentive in the form of one-time lump-sum amount ranging from Rs.2000/- to Rs.10,000/-, as provided in this Department's OM No. 1/2/89-Estt. (Pay-l) dated 09.04.1999 and other related OMs. 5. The President is pleased to decide that in supersession of all the existing orders/OMs/instructions/guidelines on the subject of granting incentive for acquiring fresh higher qualifications, the following one-time lump-sum rates as incentive for acquiring fresh higher qualification by a Government employee shall be permissible for courses in fields that are directly relevant to the employee's job. Categorization of more than 275 products being manufactured in the Ordnance Factories as “Non-Core”. Large scale outsourcing of work of more than 1.5 lakh Civilian Posts depriving Young generation with Permanent Job. Induction of 100% FDI in Defence Sector. 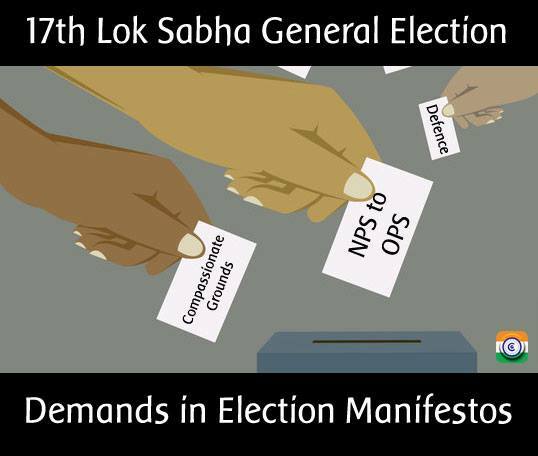 Privatization of Defence Industries by adopting various models like GOCO etc. Denial of Job to trained Trade Apprentices. Closure of various defence establishments like Ordnance Depots, Military Farms, Army Postal Establishments etc. Inclusion of Third Party Inspection at the cost of DGQA/ DGAQA etc. "To achieve self reliance in defence expand, develop and strengthen the state owned Defence Industry and to ensure full capacity utilization of these Industries." No guarantee of any Minimum Pension under this scheme. No safeguard from Price rise in absence of element of Dearness Allowance. Absence of additional Pension on attaining the age of 80 Years/ 85 Years/ 90 Years/ 95 Years/ 100 Years. No safeguard to Missing employees. Absence of Compulsory Retirement Pension, Compassionate Pension etc. 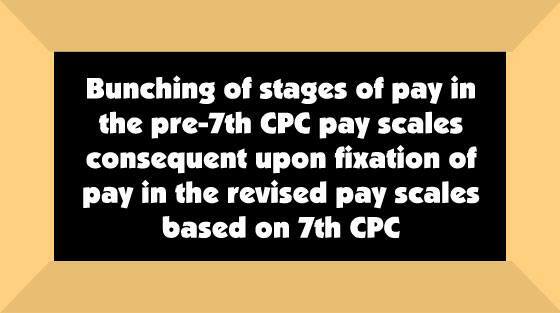 Sub: Bunching of stages of pay in the pre-7th CPC pay scales consequent upon fixation of pay in the revised pay scales based on 7th CPC - regarding. Sub : Grant of Dearness Relief to Railway pensioners/family pensioners - Revised rate effective from 01.01.2019. A copy of Office Memorandum No. 42/04/2019-P&PW(D) dated 06.03.2019 of Ministry of Personnel, Public Grievances & Pensions (Department of Pension and Pensioners’ Welfare) on the above subject is enclosed herewith for information and compliance. This order shall apply mutatis mutandis on Railways also. Hindi version is attached below. The Disability/Liberalized Disability/War Injury pension (i.e. total of service element plus disability/liberalized disability/war injury element as the case may be), shall be subject to minimum of Rs.18,000/- per month irrespective of degree of disability of the personnel. 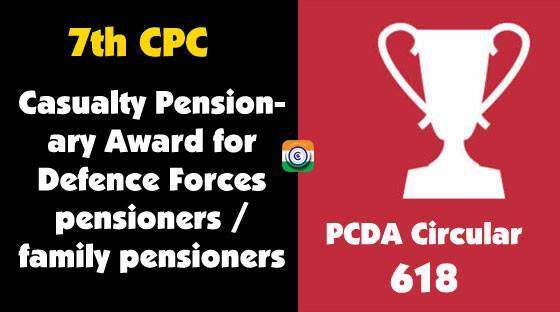 The amount of special family pension,admissible to the families of Armed Forces personnel, shall be subject to a minimum of Rs.18,000/- per month. The amount of liberalized family pension, admissible to the Child/Children of Armed Forces Personnel, shall be subject to a minimum of Rs.18,000/- per month. Subject: Regarding deletion of note of conditional sanction printed in PPOs of Pre-01.01.2006 retirees Havildar granted Hony Rank of Naib Subedar in compliance of Honbie High Courts and AFTs orders. In compliance of various court orders, conditional sanctions were being issued by AG/P5-4 (Pen/Legal), IHQ (Mob), New beihi in respect of Pre-01.01.2006 retiree Havildars granted Hony rank of Naib Subedar for implementing Gol, Mob letter dated 12.06,2009 in their cases. Accordingly, corrigendum PPOs were/are being issued notifying their pension w.e.f. 01.01.2006 @ Rs. 8450/- for Group “X” and ( Rs. 7750/- for Group .Y and “Z as per the provisions of ibid Mob letter by this office. These Corrigendum PPOs have a Note containing that condition as “The sanction will, however, be subject to the final outcome of appeal, if any filed before the Hon’ble Supreme Court of India. In the event, the appeal is decided in favour of liaI, the petitioners shall be liable to refund the entire amount paid to him under the ibid sanction”. 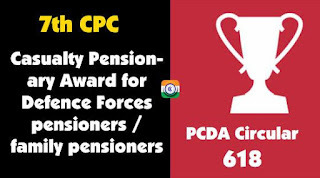 Of late, it has been observed that large number of such cases of pre 01.01.2006 retiree Hcivildar granted Hony rank of Naib Subedar for grant of pension in terms of Gol, Mob letter dated 12.06.2009 were decided by the various Courts/AFTS. Now, AG/PS- 4 (Pen/Legal), IHQ of Mob, New beihi has started converting conditional sanction into absolute sanction by deleting the ibid contents as printed in Note of Corrigendum PPO of these cases. Large number of such type of sanctions for deleting conditional sanction are being received in this office from Record Offices concerned for issuing Corr. PPO for deleting that Note of conditional sanction in respect of pre-01.01.2006 retiree Havildar granted Hony rank of Naib Subedar. As large number of Corr. 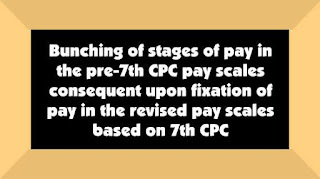 PPOs are to be issued in such cases without any financial bearing or other changes, as such, it has been decided by the competent authority that the note The sanction will, however, be subject to the final outcome of appeal, if any filed before the Hon’ble Supreme Court of India. In the event, the appeal is decided in favour of UoI, the petitioners shall be liable to refund the entire amount paid to him under the ibid sanction” as printed in the respective PPO of those pre-01.01.2000 retirees Havildars granted Hony rank of Naib Subedar issued in compliance of the Court/AFT orders. may be treated as deleted. It is further reiterated that deletion of ibid note will be applicable only where Service Pension w.e.f. 01.01.2006 @ Rs. 8450/- for Group X and @ Rs. 7750/- for Group and Group Z were notified in compliance of various Courts/AFTS orders in respect of Pre-01.01.2006 retiree Havildar granted Hony rank of Naib Subedar and not in other cases.